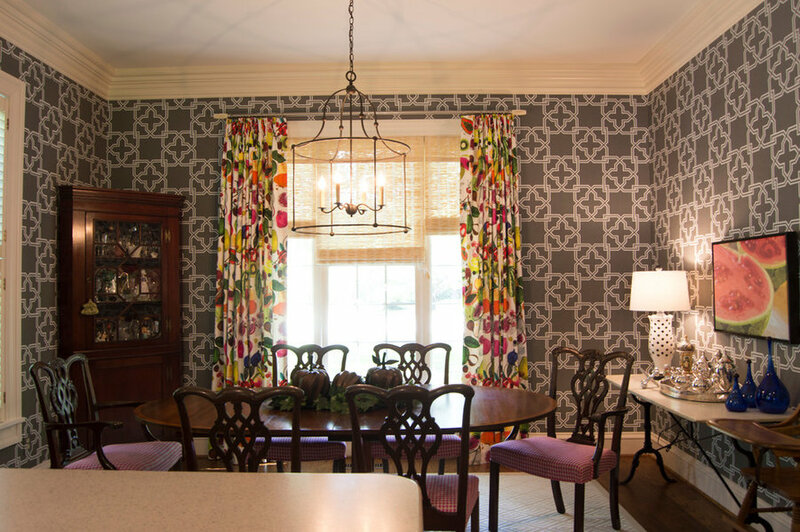 reFresh From The Garden took our clients' previous kitchen design and turned it around a full 180 °. 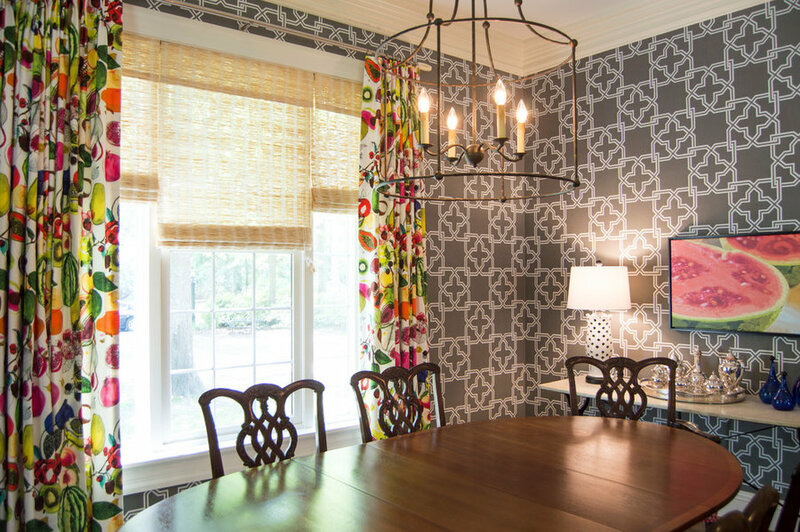 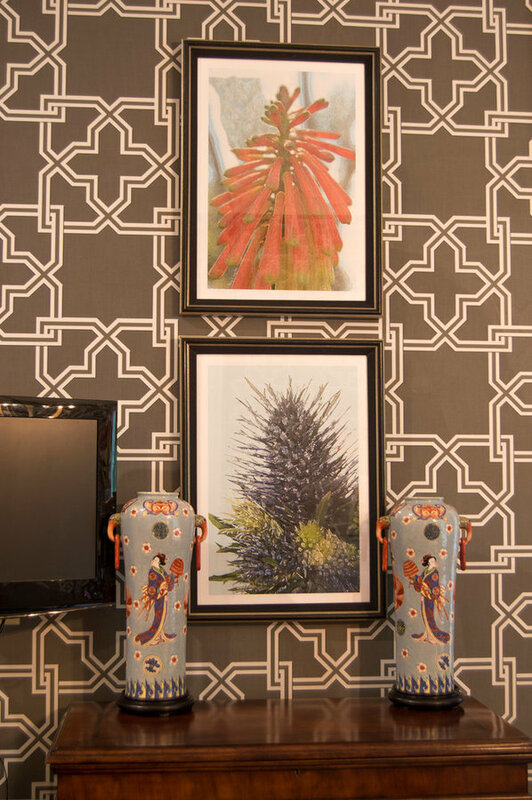 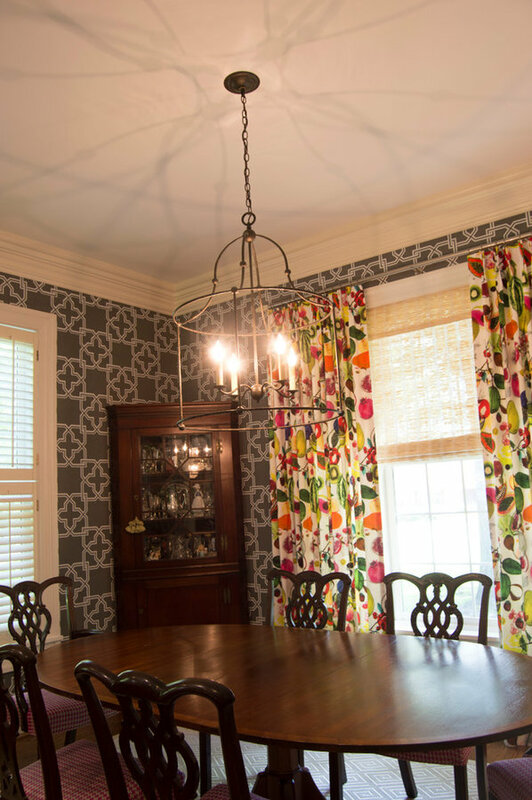 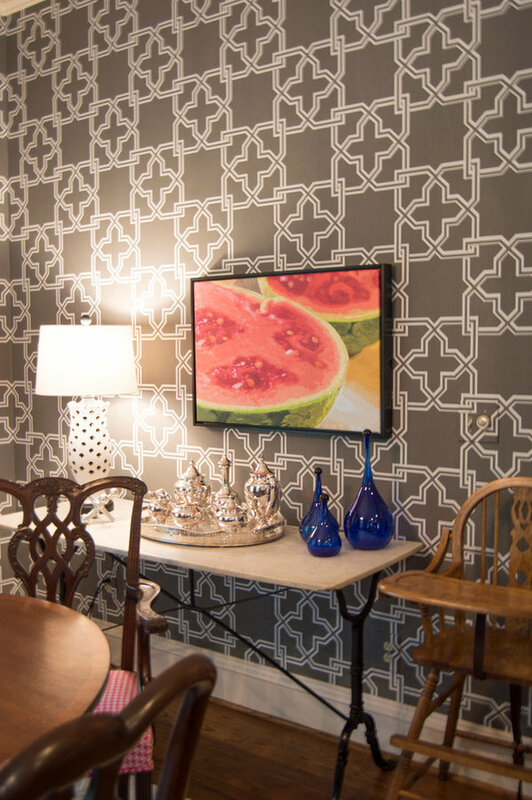 The wallcovering from Thibaut Design adds a beautiful contrast against the drapery fabric from Designers Guild by designer Christian Lacroix. 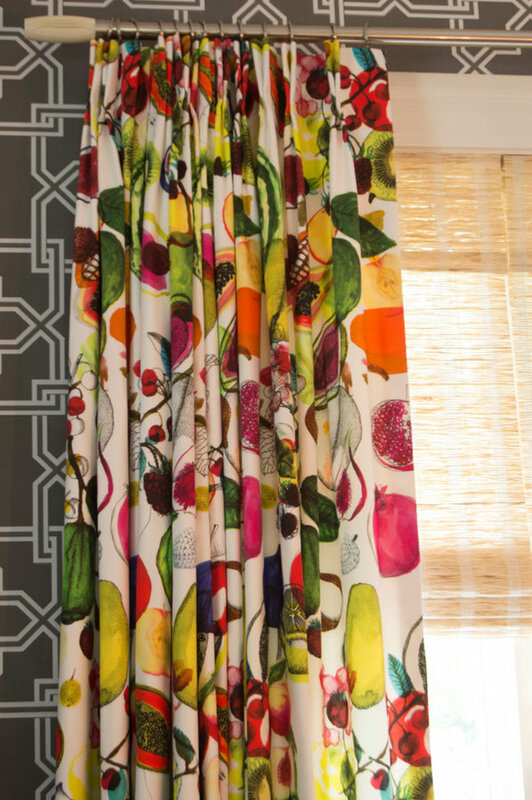 All artwork is from Penny & Lucy Lou Art mirrors the vivid and delicious colors and textures in the fabric. 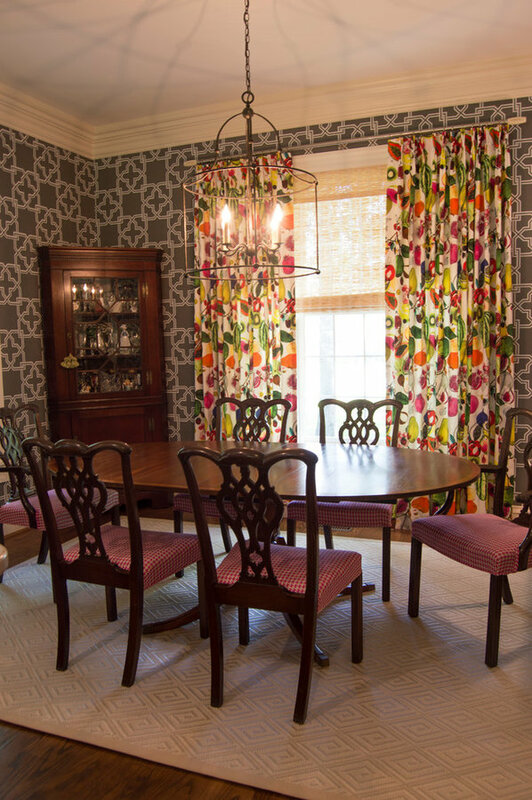 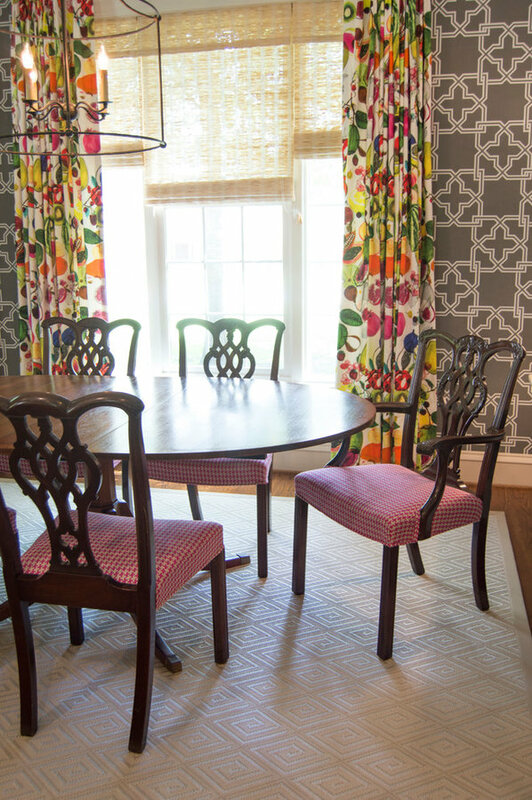 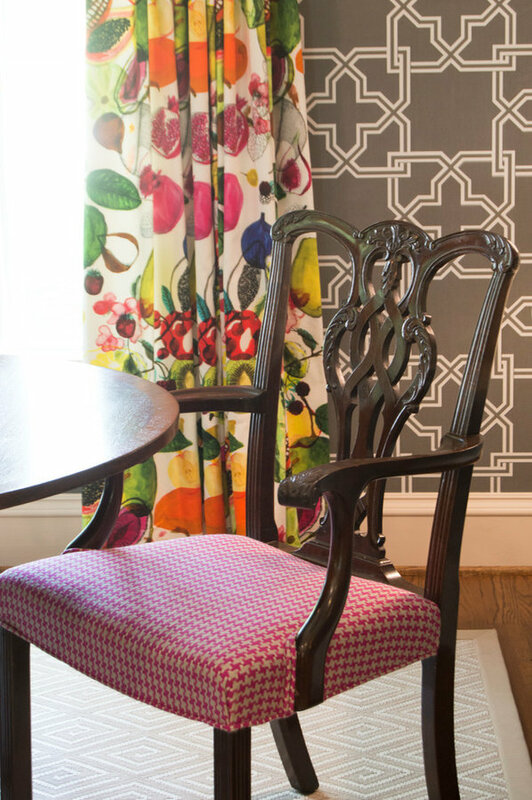 The kitchen chairs were reupholstered with Designers Guild fresh take with a new pink houndstooth. 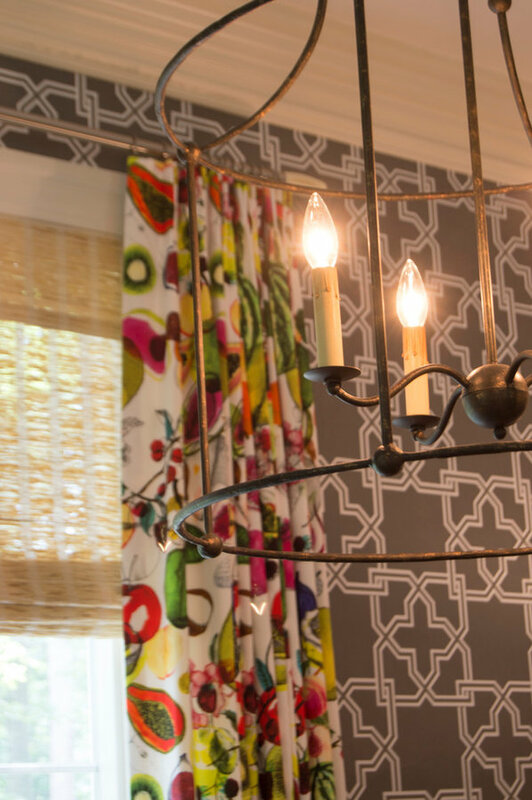 The woven window shades are from FUA Window Coverings which help with that bright summer sun.